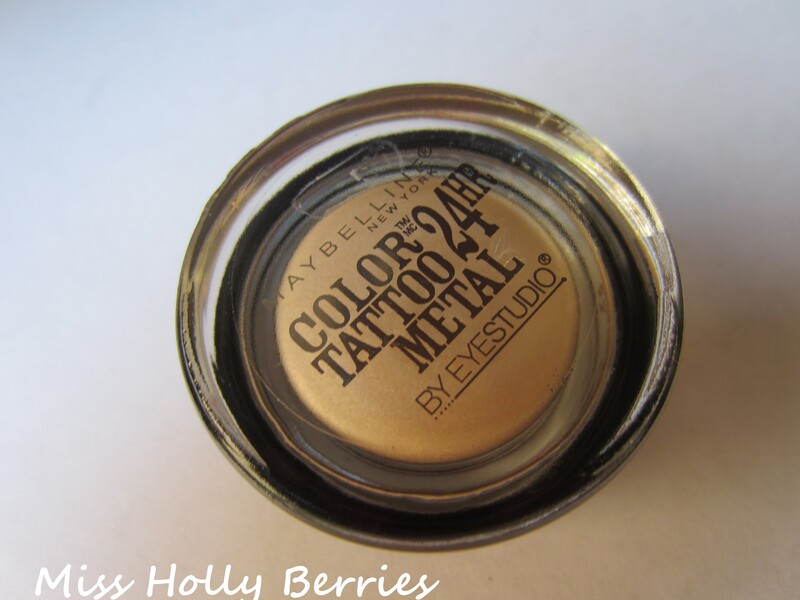 Maybelline Color Tattoo in Barely Branded! Whenever I fall in love with something, I tend to get a little obsessive. Like my recent huge buying spree of mint nail polishes (swatches, reviews and video to come!). 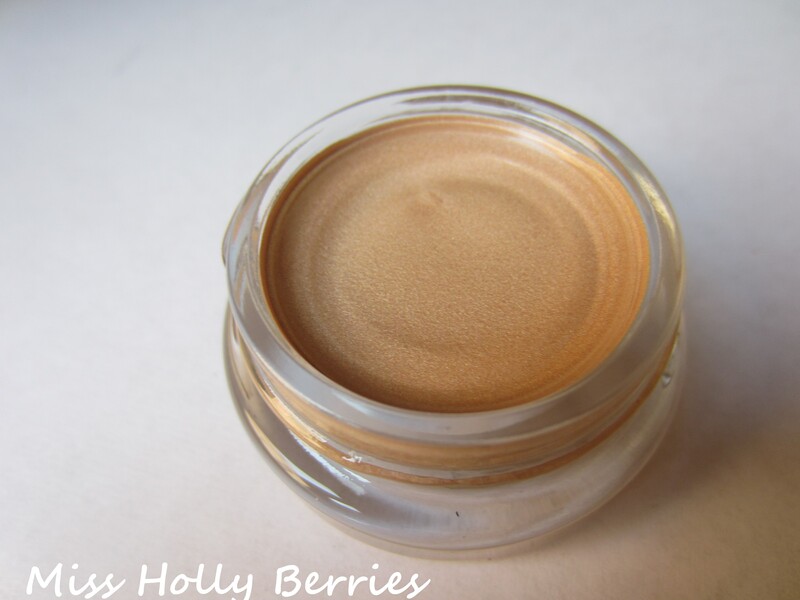 My most recent makeup obsession … cream eyeshadows! Yes, I realize that I’m really late on the cream shadow craze, but I was never too interested in buying more bases when I probably have 4 eye shadow primers in my collection and a huge number of gel liners that can double as a base. But then my friend Lauren gave me 2 of the Benefit Creaseless Cream Shadows, which you can see my review of here! Now I want all of the Benefit shadows! So while I have like 8 different Benefit cream shadows on my wishlist, I figured I would save some money and try out the Maybelline Color Tattoos. I picked up my first one a few weeks ago and needless to say … I’m even more hooked now! So I picked up another one, a more neutral shade that I could wear no matter the occasion. 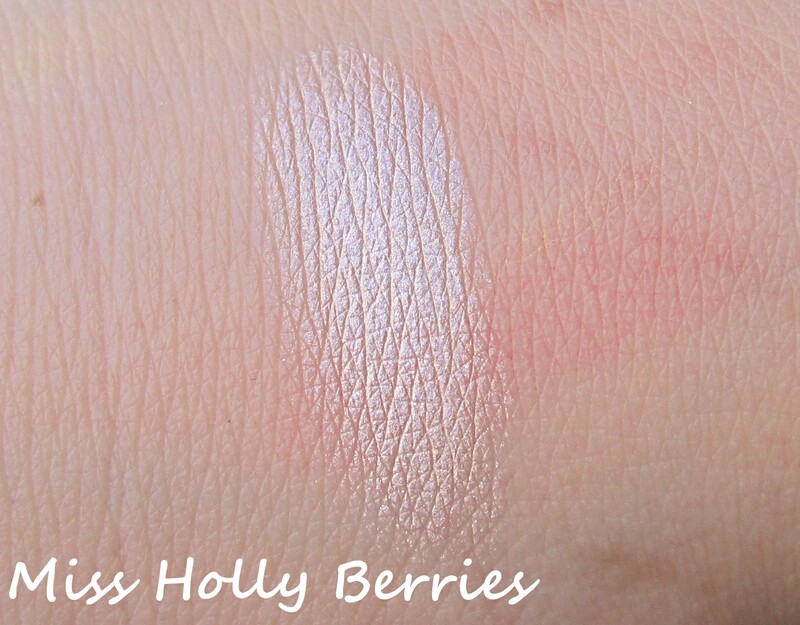 Keep reading to see swatches and read my review! Barely Branded is a new permanent color to Color Tattoo line. 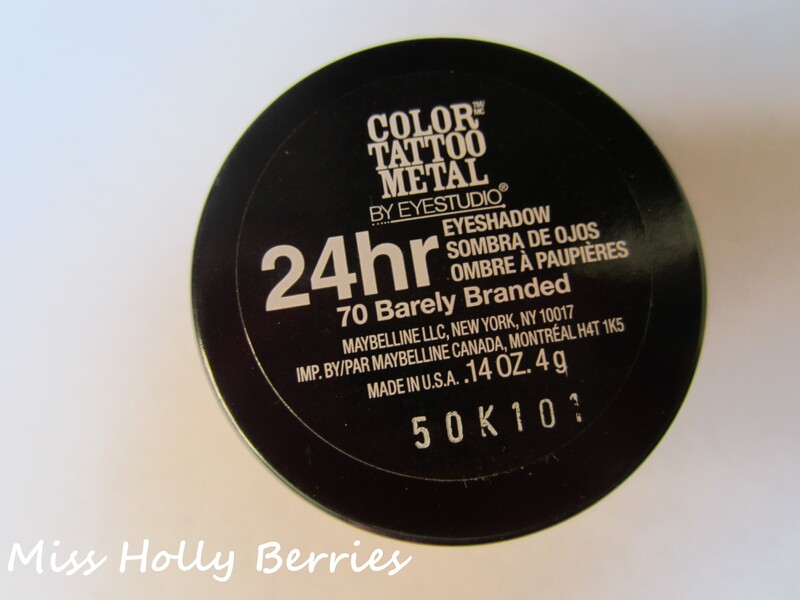 It originally was released as a limited edition shade in the Metals line, but Maybelline made that line permanent. Since it was in the Metals line, it is ultra shimmery! Although the product in the pot doesn’t look too shimmer, on the lid it really shines. What I like: I absolutely love this color! I can’t think of a way that this doesn’t look good! You can wear it every way you can think of! Its perfect all over the lid with just a little bit of mascara for an easy summer look. It also looks great over the lid with a darker color in the crease. I’ve used them as an inner corner highlight, as a brow highlight and even a face/cheekbone highlight. I also used them as an eyeshadow base and it really intensifies any color you put over it! I think its because its so shimmery, it almost looks like white metal on your eyelids. So putting a darker color over top really makes the darker shadow pop. What I don’t like: I don’t know if its my oily lids or the hotter weather, but this seemed to crease on me faster than my other Color Tattoo. I saw creasing after about 5 or 6 hours. I really want to blame it all on me and my anatomy but I thought I would let you guys know anyways. Overall, I love this so much and hate that I waited this long to buy this product. But I wish that it had better lasting power on me. I think I need to get every a few more shades. What do you guys think of this product? Do you have this shade? What are your favorite Color Tattoo shades? Maybelline Color Tattoo Seashore Frost Swatch and Review! Do you use a primer under the shadow? It’s the only way it won’t crease on me. I’ve been using Too Faced Shadow Insurance. Anyways, I’m planning on getting this one and probably the bronze. I’m a sucker for neutrals.